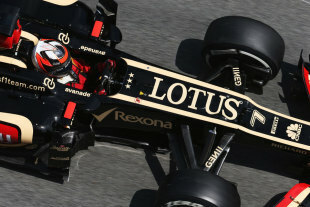 Genii Capital has sold 35% of its stake in Lotus to Infinity Racing but retains control of the team. Infinity Racing is an investment consortium made up of private investors including 'an American hedge fund manager, an Abu Dhabi-based multinational business group and royal family interests of a major oil producing nation'. The team has been without a title sponsor so far this season and Genii Capital co-founder Gerard Lopez - who remains team chairman - believes the new part-owners will help increase its sponsorship options. "Infinity Racing's principals have exceptional expertise and a proven strong track record in developing and delivering high quality technologies," Lopez said. "This partnership will enable us to increase Lotus F1 Team's competitive advantage related to KERS technology as it becomes more central to Formula One's push for environmentally sound racing, while also making Lotus F1 Team more marketable as a brand, opening up additional major sponsorship opportunities." Lotus has been going from strength to strength in the last two seasons but the one thing it has lacked compared to its rivals is a big budget. It came close to attracting Honeywell as a major sponsor over the winter but the deal fell through and it's no secret that Genii has been on the lookout for fellow investors for some time. Part of the ownership of the Infinity Racing investment consortium can be traced back to the wealthy kingdom of Brunei, so it should come with a very welcome cash injection. The deal is also significant as it comes at a time when Kimi Raikkonen is considering his contract options for 2014. The new money at the team could be enough to convince him to stay. Genii CEO Eric Lux said he believes the co-ownership is the start of an "exciting journey" for the team. 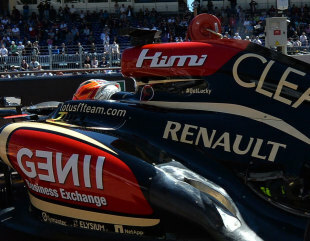 "Genii Capital is delighted to announce this partnership between Infinity Racing and Lotus F1 Team as we continue to grow and compete for podium places," he said. "Since Genii Capital took over control in December 2009, we have been focused on growing the value of the organisation and developing the infrastructure at its Enstone headquarters. "As Lotus F1 Team results have continued to improve every year, we have been waiting for the right investor who will help make the jump to the top spot in the Constructors' Championship. In Infinity Racing, we have found a partner with the right connections in addition to technological expertise and a global reach in major markets with key sponsors to achieve this goal. We look forward to working with Infinity Racing as we continue on this exciting journey." Infinity Racing chairman Mansoor Ijaz revealed the investors talked to three other teams but opted to go with Lotus in the hope of winning titles in the near future. In the same interview with Sports Pro Media, he refused to confirm that the royal family backing Infinity Racing is from the oil-rich kingdom of Brunei. After scoring only three points in Monaco and Canada, Lotus is currently in fourth place in the constructors' championship with Kimi Raikkonen third in the drivers' standings.